54 Old El Pueblo Rd. . Angle Construction has been established for over 12 years. Our company offers a free estimate and will provide you with all the information you need to decide which Milgard products are best for you. We include suncoat protection to all dual paned windows for no additional charge and argon gas for better energy efficiency and noise reduction. Our Installers are AAMA and Milgard Certified, have over 15+ years of experience and specialize in reframing, changing window sizes, and window to door conversions. In addition to the Milgard lifetime warranty, Angle Construction also includes a lifetime warranty on installation, condensation between panes and accidental glass breakage. Be sure to ask us about our "Flexible Payment Plan". Angle Construction is rated 4.8 out of 5 by 82. Rated 5 out of 5 by kitsjc from Highly professional and courteous We had no idea about the world of new windows. Angle Construction not only answered all of our questions, but they provided answers to questions we hadn't thought of. Installation was professional, done in a timely manner and they cleaned up as they worked. Patty was a terrific liaison throughout the whole process. Even my 10 year old greyhound approved of the work in progress, and he's a bit skittish around strangers. Rated 5 out of 5 by France P from We love our windows ! We just replaced all our windows and couldn't be happier with the result. From the first appointment (estimate) we had with them till the very end, they provided us with an excellent service. They are very professional and so nice to work with. We highly recommend their services if you are in need of new windows. 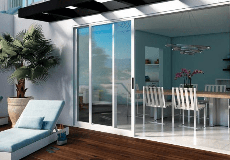 We have 4 patio doors left, and there is no doubt that Angle Construction will install them! Rated 5 out of 5 by Ronnab from Angle Construction The Best. Right from Kelli, Steve,Jason, Gocha and his crew. Professional, project complete with clean up. Excellent. Helpedske the right choice of windows for my home. 20 stars. Rated 5 out of 5 by Bev2018 from Angle Construction installers were efficient, hard working and did a fantastic job. We couldn't be more delighted with our new windows. They are beautiful, easy to open, and make our house look great. We are so glad we found Angle Construction and got Milgard windows. Rated 5 out of 5 by SueY from Love my Tuscany windows Angle Construction installed Milgard Tuscany double hung windows in three bedrooms and two bathrooms, a Tuscany double casement in my kitchen and a new sliding patio door. I could not be more pleased! Salesman was professional without being agfressive (he gave me information and prices and left, no pushing me to sign now). Once I decided to proceed with them I was consulted about and during the installation process. When the installers arrived great effort was made to protect the interior and exterior of my home from glass when old windows were removed. When completed, all debris was taken away. Once I replaced the window coverings it was like no one had been here. Many thanks to Milgard and Angle Construction.